← Call the Emergency Services to the Junior Room! November News in the Middle Room! November has come and gone and we are very busy preparing for Christmas in 1st, 2nd and 3rd Class! 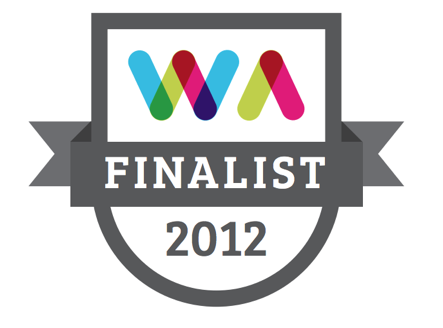 Have a look at what we have been up to over the past few weeks! 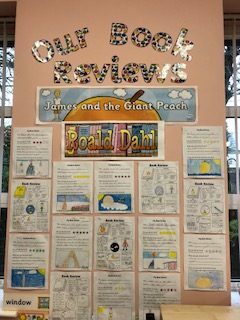 We have also been reading “James and the Giant Peach” by Roald Dahl. The children learned all about the life of Roald Dahl, how many books he has written and where he came from. 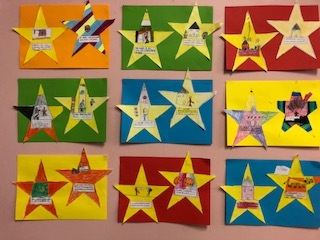 The children wrote brilliant book reviews in 1st and 2nd class and the 3rd class wrote about cause and effect, characters and the plot. 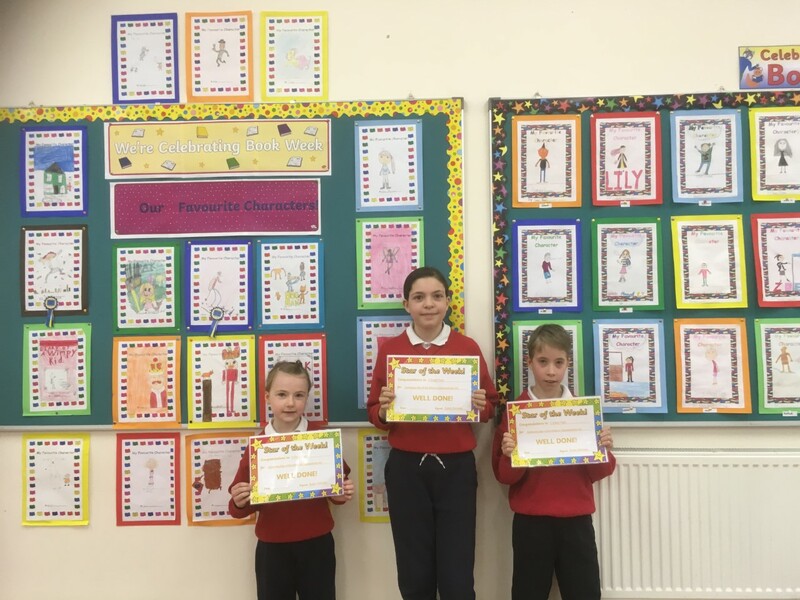 Each child scored the book out of 5 stars. Didn’t they do a great job? 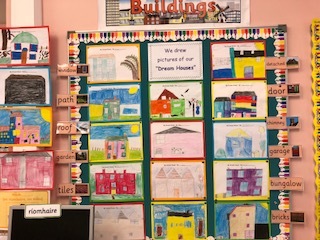 In Geography, we learned about buildings, designing buildings and what materials are used and why in the construction of homes. The children then designed their own dream houses! 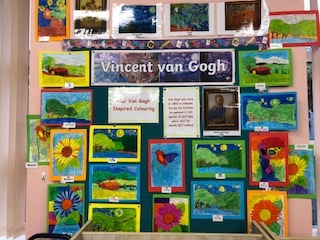 In Visual Arts, we learned all about Vincent Van Gogh, his very famous works of art and his use of colour. We coloured in some pictures inspired by his work. Did you know that one of his paintings sold for almost €66 million? 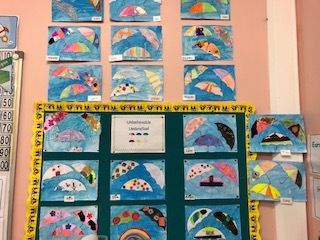 In Art, we also designed stylish umbrellas! 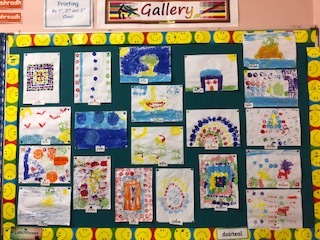 We also created pictures by printing with various things from around the school. 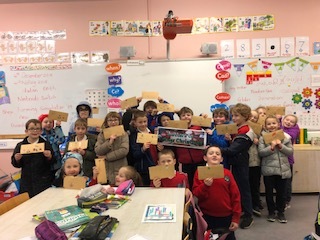 As Christmas is approaching soon, we thought we would be very organised and send our letters to Santa Claus! The children enjoyed writing them and going to the post office to post them this week! 2 Responses to November News in the Middle Room!